The Future of Data Warehousing: 7 Industry Experts Share Their Predictions discusses the modern data warehouse architecture and emerging trends. Jen Underwood just published her latest blog (R Visualizations in Reporting Services) and it is very exciting topic. This solution looks like a native SSRS solution and I would love to give it a try. Back to year 2010, I read a article (Analyzing Direct Marketing Data with R) by Liang Wei and Brendan Kitts from Lucid Commerce Inc. discussing how to render a R chart within SSRS. 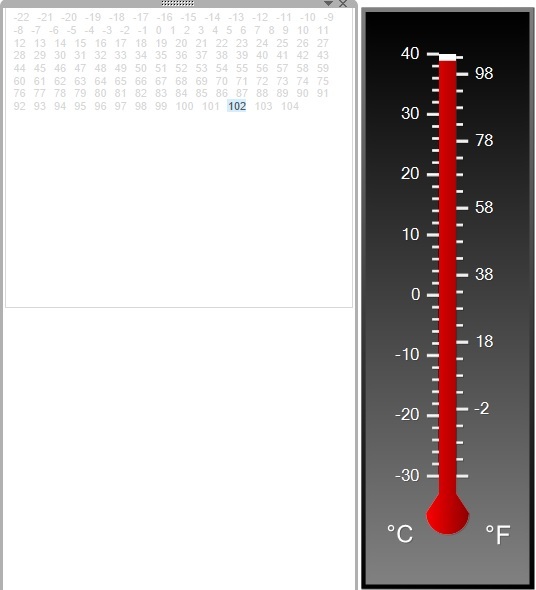 The first parameter (rs:Command) tells SSRS server whether to render the command toolbar and the other parameter (Value) tells what the Thermometer Indicator’s value should be. SSRS is able to handle pixel perfect chart rendering and can be used as a dynamic charting library inside Tableau dashboard. 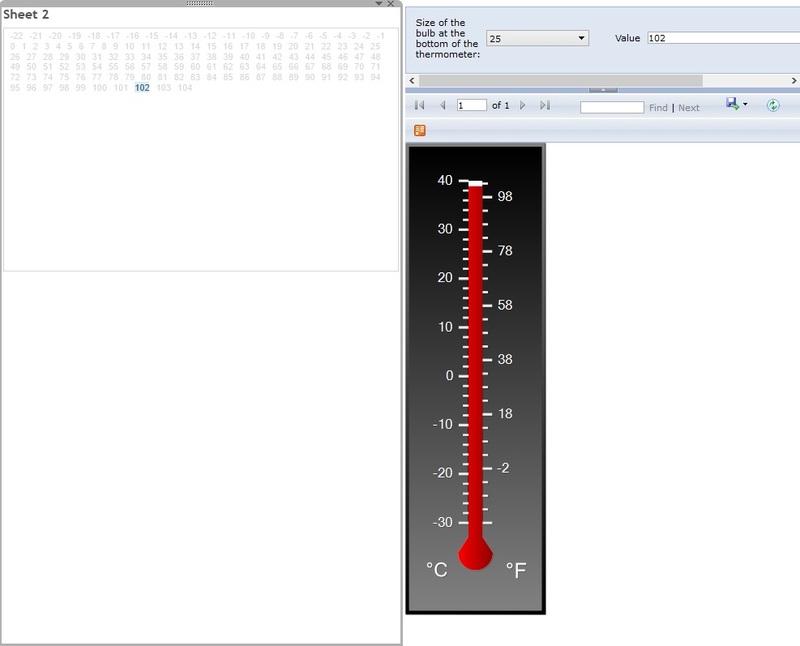 As you can see in the first screenshot, there is a property called “Size of the bulb at the bottom of the thermometer”. You can expose lots of properties through parameters and let Tableau to invoke them on the fly. 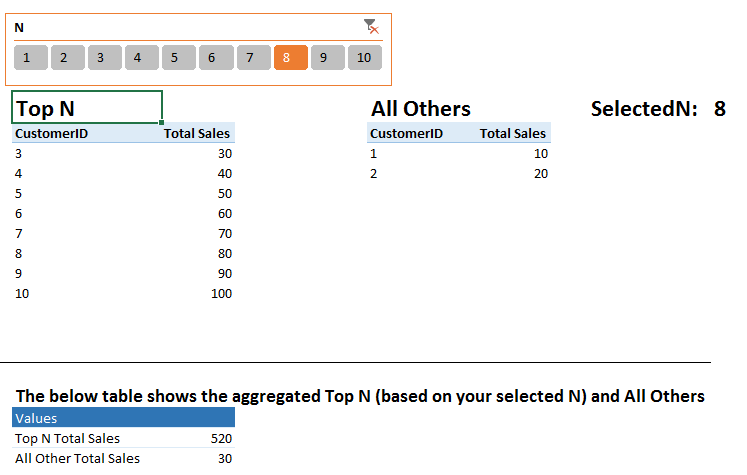 Imagine you have drop downs in the Tableau dashboard to passing parameters to SSRS reports to precisely control the chart rendering. 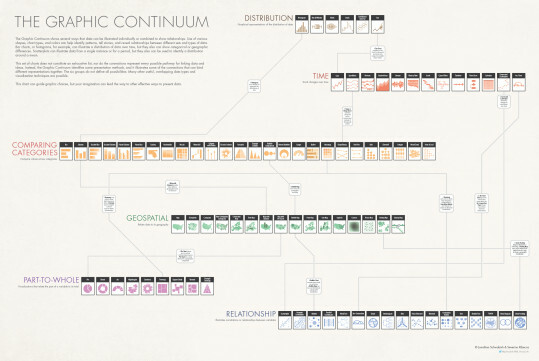 This is probably what Tableau is lacking of at the moment. Powerful operational reports. SSRS far better superior operational reports capability than Tableau. Now you can use Tableau to give the user a high level glance and dive into super detailed details. SSRS has actions (Similar to Tableau dashboard action) that can chain various SSRS reports together to provide “guided navigation” as well as “execute some operational tasks” together with each SSRS report execution. Imagine the scenario that you deep dive into the details and then click the report action inside the SSRS report which invoke a SQL Server Integration Services Package (SSIS, Microsoft’s ETL platform) on the fly and execute a Python script to generate another Tableau Data Extract. I don’t want to dive into details. But when you bring the entire Microsoft BI stack together, you are talking about something beyond the imagination. This is not a new technic as Chris Webb and Matt Mason have both blogged about formulas for generating a date table using Power Query. Darren Gosbell has another blog for ISO weeks and 4-4-5 period. They are all excellent articles that you can reference as use straight away. In my recent project, I need to filter out the data with Australian Financial Year (FY) and holidays. So I wrote my own version of the Power Query to get it done. I’ll share the Excel 2013 workbook below for you to download. I’ll briefly talk about how I do it. You can view the actual Power Query code in my shared Excel 2013 workbook. Step 1 – Take Matt Masson’s Power Query as the start point and add FY calculation. Step 2 – Find Australian Holiday information. I could find any useful one by just use Power Query online search. Jump to Google search and find http://australia.gov.au/topics/australian-facts-and-figures/public-holidays. I then use the Power Query to load it and perform all sorts of data manipulation to make it ready for merging with my base query. Having said that, for demo purpose, it is good. In reality, I would prefer to load it once and save it as a static table somewhere for reference. As you can imagine, the Power Query will break if the web page changes and for such small volume, automation does not add much value to manual maintenance. Step 3 – Merging the Power Query produced from Step 1 and 2 and do the final cleansing. I just read Rob Collie’s post Displaying Top N, Bottom N, and “All Others”. Its a great post with lots of details. Both table as added to Model as the linked table. * Both of the above two sets has the checkbox “Recalculate set with every update” checked.